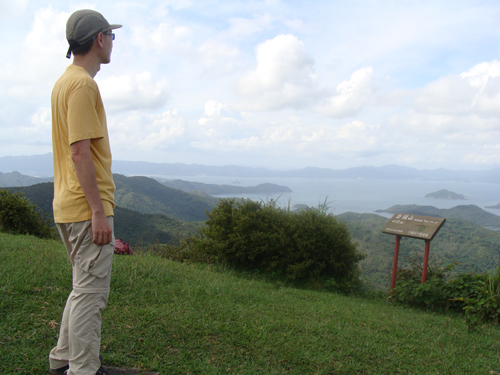 This hike visits two major mountains Ngau Yee Shek Shan and Ngam Tau Shan (牛耳石山 及 岩頭山) in Sai Kung area. The route is not a very common one. It is quite narrow but reasonably traceable. It has quite a bit of spider web for sure. The entrance locates inside Lady MacLehose Holiday Village (麥理浩夫人度假村). You have to talk pass the security gate of the village in order to get to the entrance of this hike. 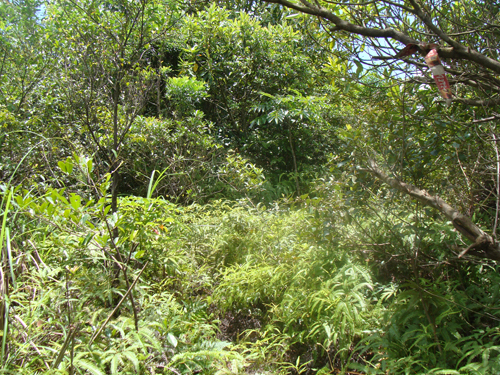 This is the entrance of the path. It is behind some holiday houses. There are not a lot of ribbons at this starting point. We started in a forest. The walk was quite bushy with many over-grown. 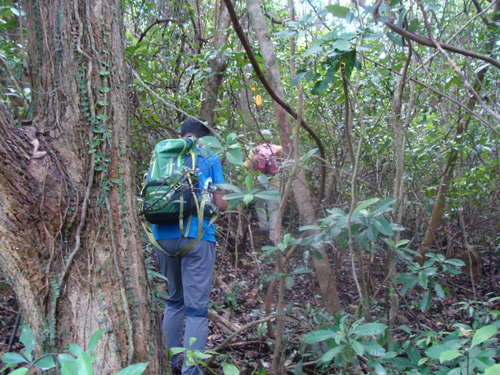 There are sufficient ribbons guiding hiker all the way through. We left the forest around this height. Clear sky finally came up. 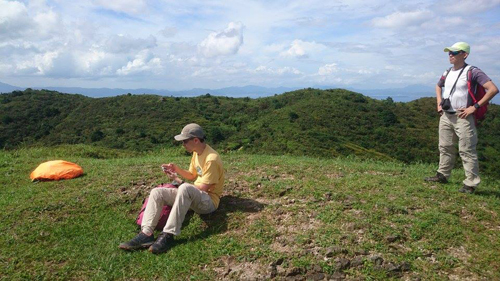 This is Ngau Yee Shek Shan (牛耳石山). A good spot to take a rest. 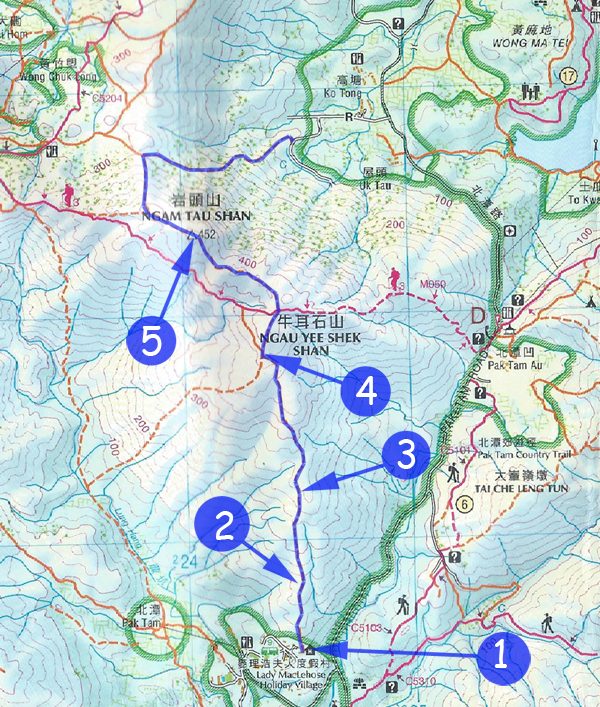 After resting a while, we cut through MacLehose Trail #3 and move to Ngam Tau Shan (岩頭山). 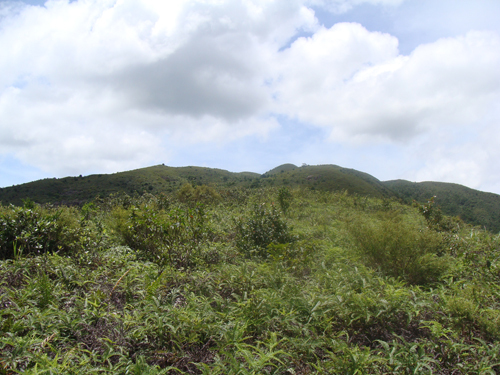 This is Ngam Tau Shan (岩頭山).